Joules is a leading UK fashion brand with a vast distribution centre in Leicestershire. The building is a maze of racks, holding stock destined for all parts of the UK. 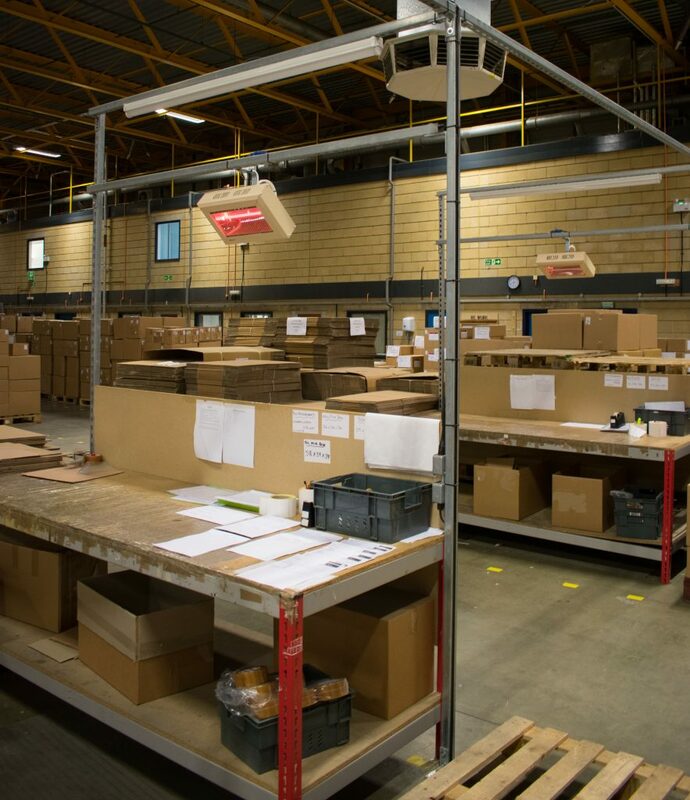 However, it also contains a large number of packing stations and herein lies the problem: how to provide comfort heat for staff working at the packing stations without the need to heat the entire building. This was the topic of conversation when a BN Thermic engineer visited Joules. 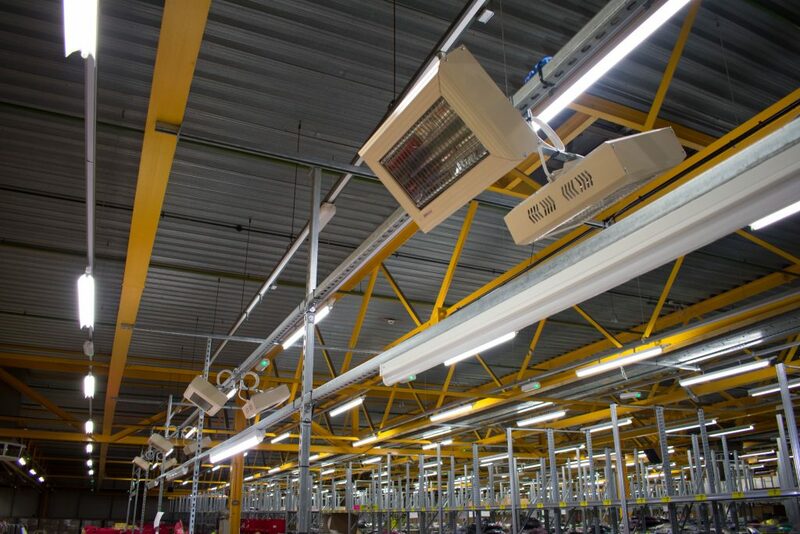 The obvious answer was to equip each of the 53 packing stations with an individual quartz halogen heater. This radiant heater would heat a member of staff directly without the need to raise the temperature of the surrounding air. However, the significant glare produced by a conventional halogen heater was just not acceptable for a work station that may be used for a full eight-hour shift. Fortunately, BN Thermic had recently introduced a new style of halogen lamp: The Magic Lamp. This is a major breakthrough in lamp technology allowing a heater to provide all the heat output of conventional radiant heaters but with a tiny fraction of the light output. Our engineer was able to demonstrate the benefits of the Magic Lamp to both management and staff and an order was received shortly thereafter. Click for heater specs. 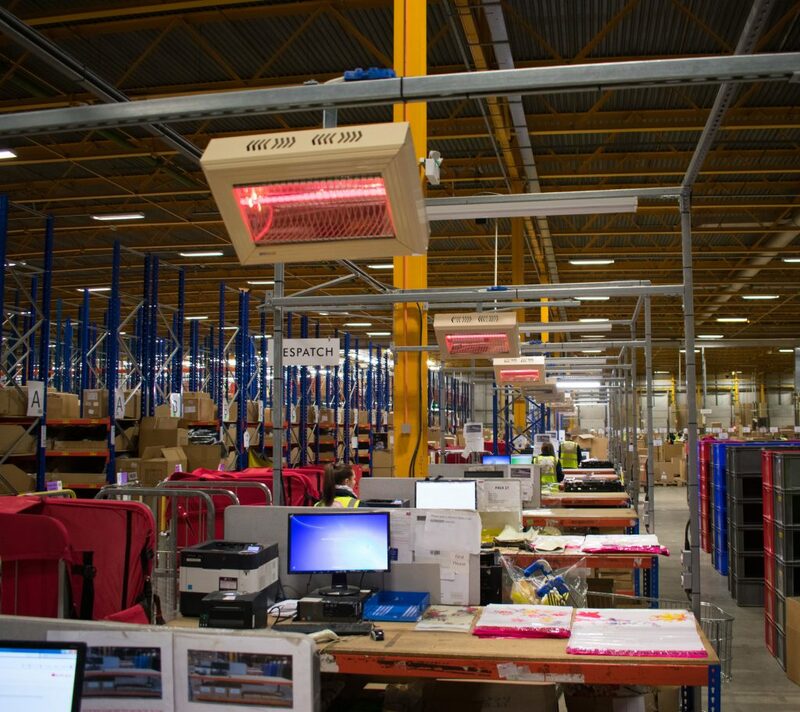 We would like to thank the people at Joules for allowing us back into their building after installation so we could verify the effectiveness of our radiant heaters and snap a few photos. We are pleased to report that the end result has been happy productive staff and an acceptable heating bill. Projects such as the one at Joules often require a visit to site before an order is placed. A BN Thermic engineer is always ready to provide this support on a ‘free of charge’ and ‘no obligation’ basis. If you would like some help with your next heating project just call us on 01293 547361.